The Louvre is one of the largest museums in the world — as well as one of the most visited. Visitors typically follow the crowds, flocking to see the Louvre's two most celebrated objects, the Mona Lisa and the Venus de Milo. I remember, back in the 70's, actually being able to view the Mona Lisa — but a typical visitor's experience is now seeing the crowds gathered around a small painting in the middle of a large gallery. 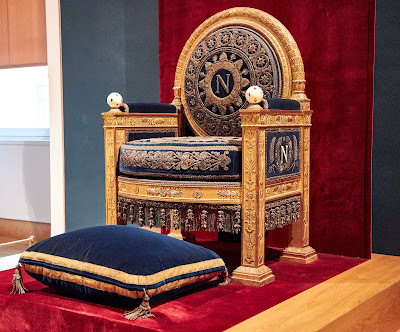 My inclination is always to avoid the crowds, to take the path less travelled, to go places that most don't even know about ... and in the Louvre, that would be the Napoleonic Apartments. 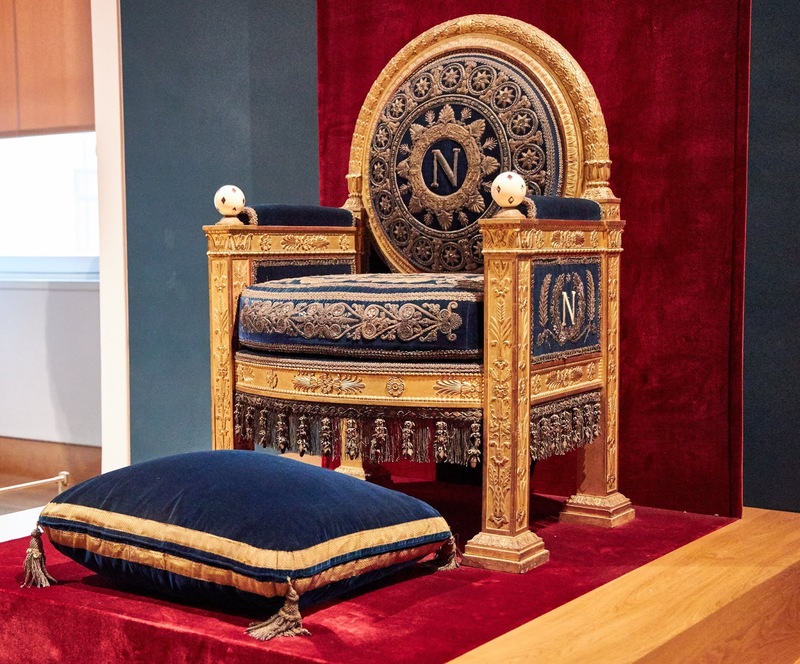 Located in the Richelieu Wing, you'll discover memorable examples of Second Empire decorative art ... including this throne. One of the Louvre's best kept secrets, you'll enjoy opulent rooms that rival Versailles ... without the crowds. copyright (c) 2019 by Ourisman Travel LLC. All rights reserved. We provide Virtuoso and other Preferred Partner amenities as an affiliate of Brownell, a Virtuoso® member. If you have comments on this column, or questions about booking travel, email me or visit our website.